Beall & Co Cork Merchants at 51 Gardner Street, was established by T.H.Beall in 1883. Bealls produced any amount of items like place mats, bath mats and other quirky cork items like cork doll’s furniture and 3-D cork pictures. 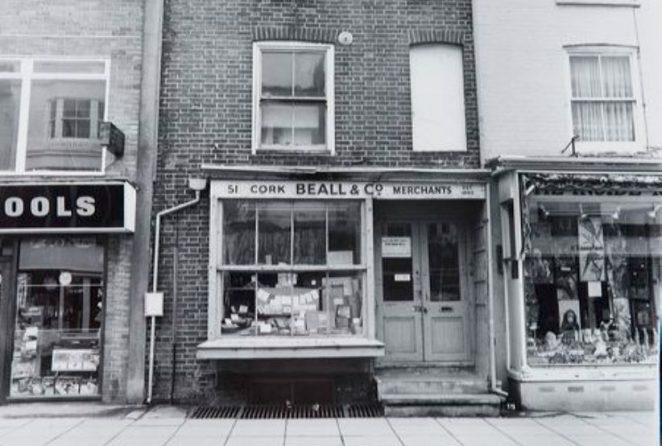 When it closed in 1983, the shop-front was dismantled and reassembled in Brighton Museum, where you can still see it today. Do you remember Bealls? What sorts of things did you buy there? Have you still got any of them? If you can share your memories of Bealls, please leave a comment below. I used to stock up on corks for my father’s home-made wine phase during the 1970s. Great shop! I remember that shop, very old fashioned but, very interesting. Strange things all made from cork. 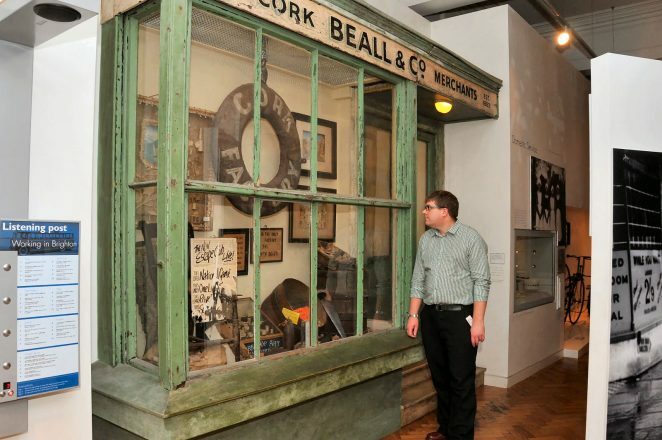 I have also seen it in the museum, I’m really pleased they have saved it. When Beall’s, closed Bob Metson bought their stock and tools to continue the service of relining vintage cork clutch plates until his retirement last year, that service now continues with The Clutch Cork Carvery, Lurgashall, Petworth, so it’s not just a museum piece.